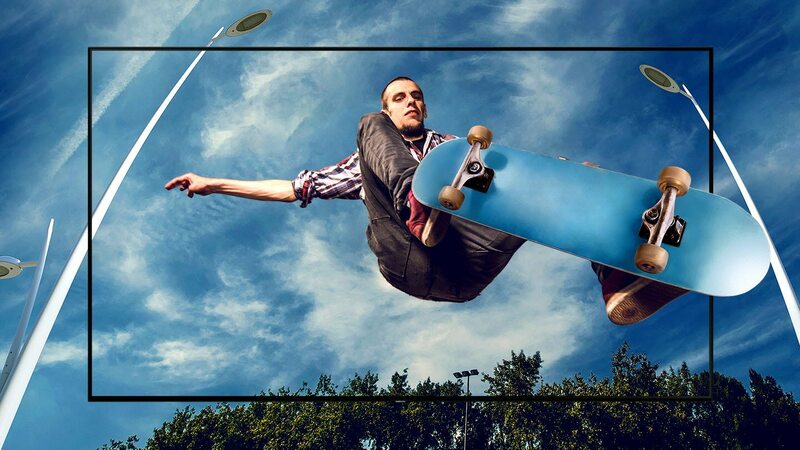 4K Ultra HD opens a new world of TV. Enjoy 4 times more pixels (3840 x 2160) than Full HD TV (1920 x 1080). You can enjoy stunning image sharpness, contrast and accurate color reproduction. 100% Color Volume combined with Quantom Dots delivers billions of color shades. Control your compatible smart devices from your sofa for a more connected and safer home. Works with Bixby, Alexa, Google Assistant and connect through SmartThings*. *Compatible phone and app required. Exact functionality may change at any time and be withdrawn from the product without notice. The Ambient Mode of the QLED TV is integrated into the decoration of your home naturally. Instead of seeing a black screen, you can enjoy images adapted to your lifestyle. It is very easy to configure through the SmartThings app and has many options. 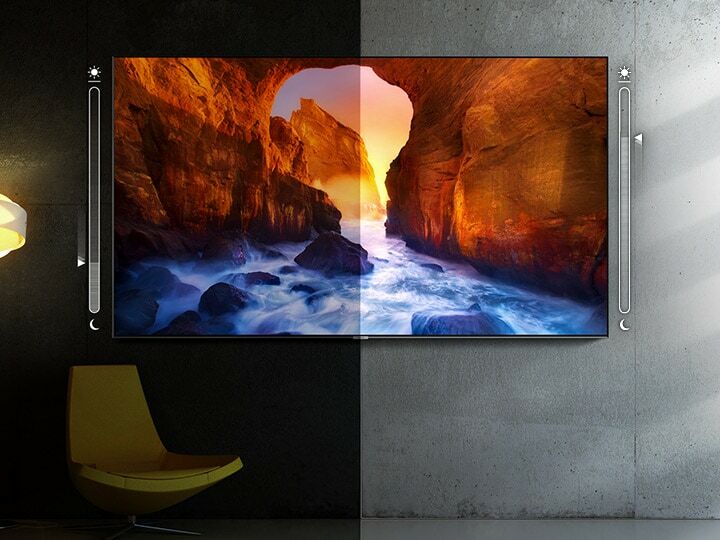 *Some features of Ambient Mode require a compatible Android or iOS phone and sufficient space around the TV to operate; it will have varying results on complex wall designs, patterns, and/or unusual colours. Samsung 55" Q80R QLED 4K HDR 1500 Smart TV | QE55Q80RATXXU is rated 2.0 out of 5 by 2. Rated 2 out of 5 by May26 from So dissapointed. I was really looking forward to this tv to be released. Waited several months. Am so dissapointed on unboxing the tv there was no instructions or paperwork inside like you usually get with a tv. The base of the tv was scratched and was not completely painted. So I didn't get the wow fact on opening this tv. It feels like I purchased a second hand tv. I did contact samsung straight away and I have to wait up to 28 days to receive paperwork and a new stand. The sound is good. However I feel like there are other tv's out there for a fraction of the price that would do just as well if not better. Next tv looks like I will be going with an OLED.